Meyer’s paintings show a bolder, edgier style that is more of an expressionistic, abstract reflection of the energy and motion in his subjects. This assimilation of spirit – energy and movement – makes his work so unique. Meyer is represented by several galleries, including Kelly Galleries (Hudson and Woodbury, WI); RARE Gallery (Jackson Hole, WY); ZForrest Gallery (Tubac, AZ); and Earthen Vessel Gallery (Durango, CO). His work can also be seen in several corporate settings including Alliance of Crop, Soil, and Environmental Science Societies (ACSESS) in Madison, WI; EPIC Systems in Verona, WI; and ASPIRUS Hospital in Wausau, WI, as well as other private settings. 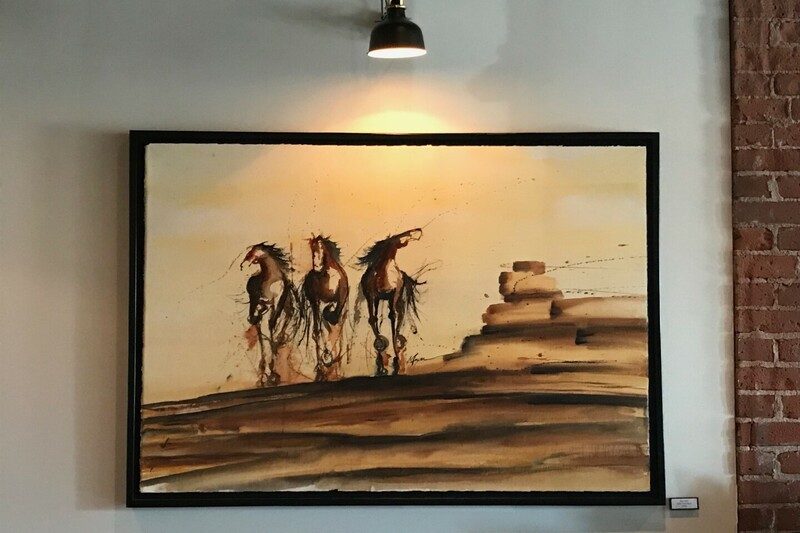 Local locations with his paintings include the Lismore Hotel, and JAMF Software.